In this week's really important, the world must stop, how could this happen news. 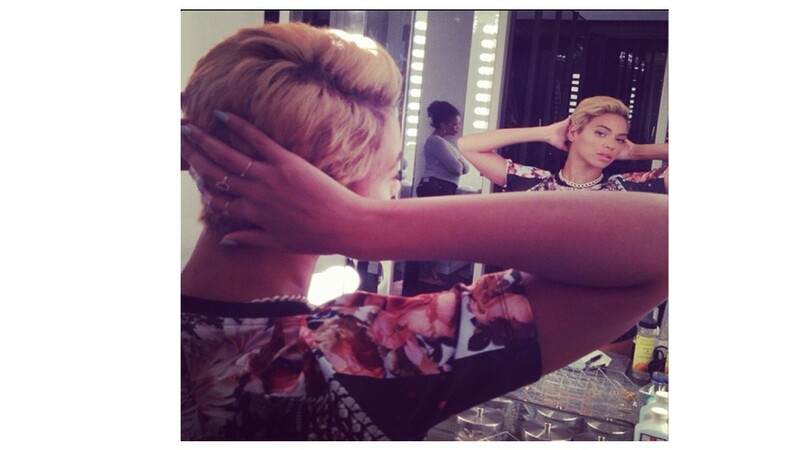 Beyonce got a haircut. Beyonce took to her Instagram (I guess everyone has one but me) and posted pics of her new do. People were outraged! People cried happy tears! People swore it was a wig! People swore she just took off her wig! People said this meant the fan won! So many opinions. People hated it, people loved it but everyone had an opinion. I hope this letter finds you well. I hope you're having fun spending money and being a diva and all of that. I noticed you cut your hair. That's awesome. I hope you like it. Or if you don't like it you find a few nice bundles of Remy and Malasian to fix it. Either way, your head. Can I have a few tickets to your December 13th concert in Chicago? I wanted to go in July but they sold out in 0.000001 seconds and my internet connection at work isn't that fast. I could've bought them via Stub Hub, but I'm saving my kidney for when Ladybug goes to college. Nothing too fancy, maybe section 111 or 112. While everyone else is focused on your follicles, I'm focused on your music. I love 1+1 and Listen, but Listen kind of makes me stabby, so maybe not. Um, please and thank you. I don't have an Instagram. Me and You. That was hilarious! LOL! I don't know why people care. She can weave/wig/cut/whatever everyday if she wanted to. Meh. Thanks :-) People are crazy. How can you be outraged about what someone else does with their hair? I also hate captcha. Stupid spammers. Captcha is pretty much the dumbest thing ever. I had an Instagram when it first launched but I really don't need any more distractions online. That I can understand. Between FB and blogs and I can lose hours. I don't need any more help losing time either. Four - Would You Marry You?